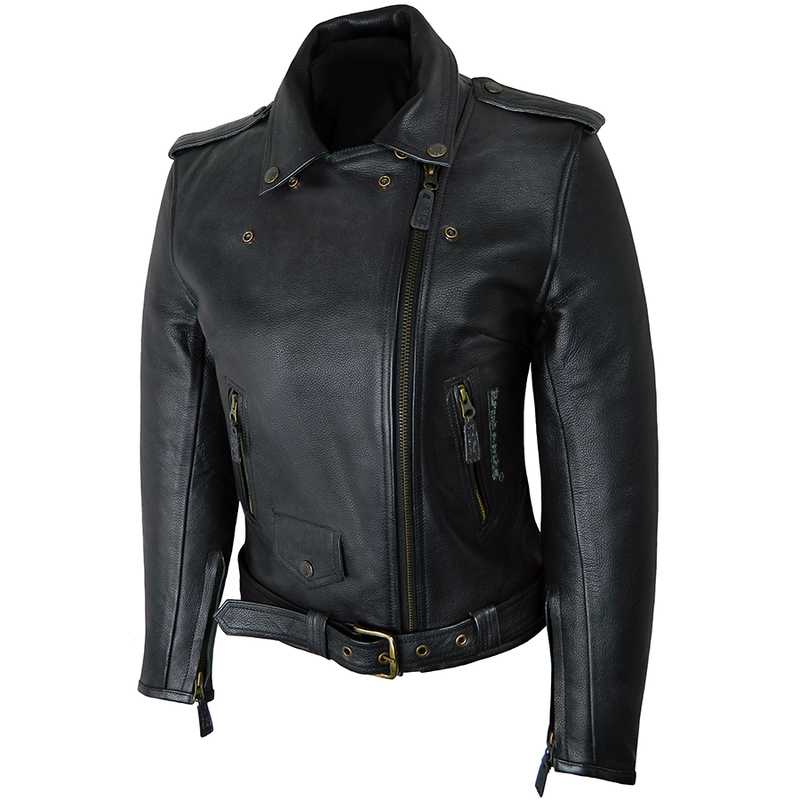 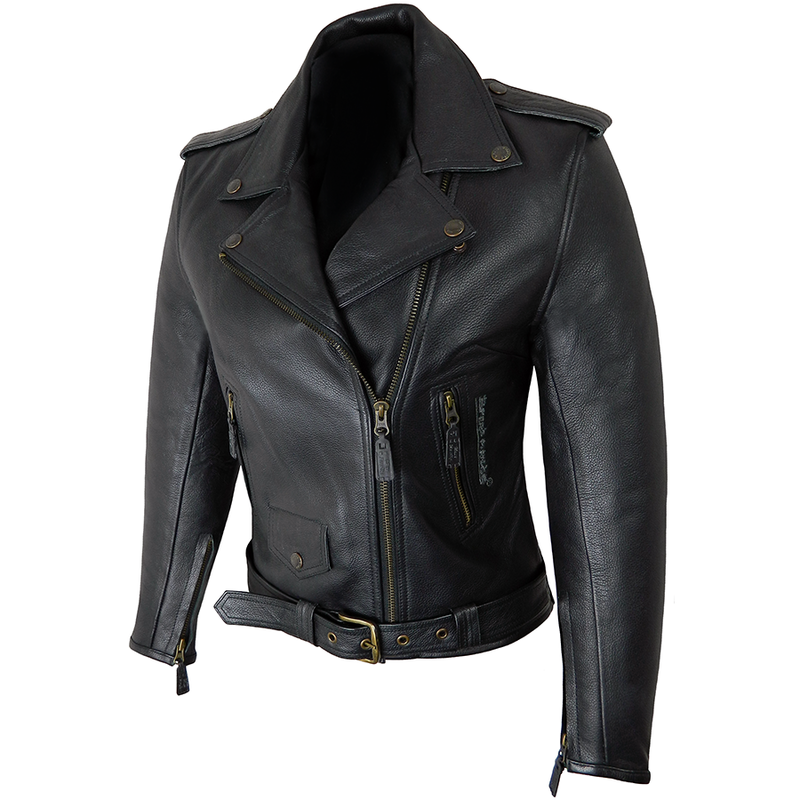 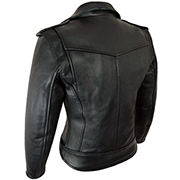 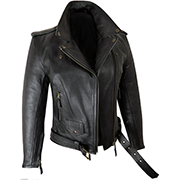 A fully tailored, cotton lined, supple cowhide womens bike jacket with gunmetal zips and fittings. 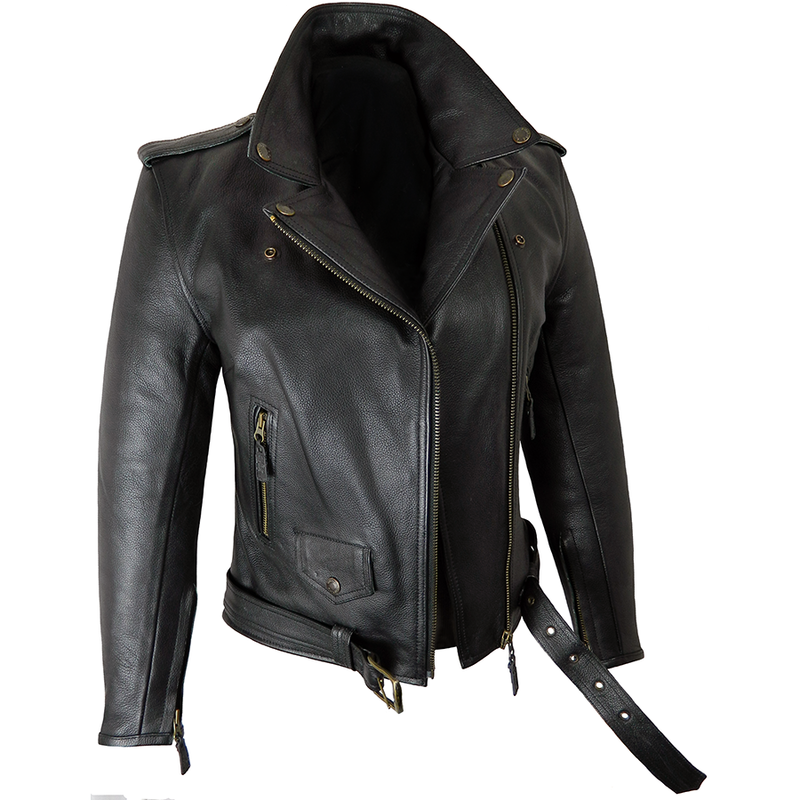 Half belt at front and epaulettes on shoulders for that US look. 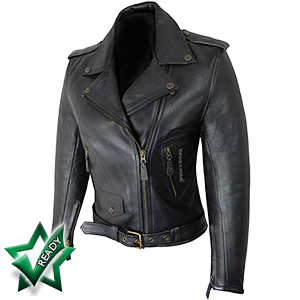 Longer length body for comfort and heavy duty stitching for safety.